There are plenty of reasons why your business needs a toll free number but lets start with 5 basic points. Toll free numbers improves the overall customer satisfaction ratio. It’s really irritating for customers to pay for the initial interaction with the company or to find a contact number in the bunch of numbers given on a site or in any directory. 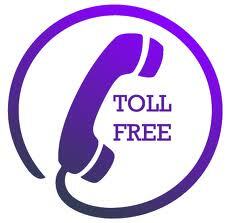 While a toll free number gives a one point contact for sales inquiries and after sales support calls. Toll free 1800 numbers are very easy to remember as business can choose numbers resembling the business name e.g. 1800-200-ZIFFY (1800-200-94339), which is far better than having a xyz number. Toll free number gives credibility to your business and gives assurance to customers that its not a fly by night kind of business with a temporary phone number and address. Due to the 1800 masking you can run your business from any where in the world and your customers will never know about your location. You can even distribute your calls depending upon the originating city for proper call handling. Nothing can beet a free medium in India for marketing purpose. When you are offering a toll-free number be assured than you will have lot more queries than what you have expected.